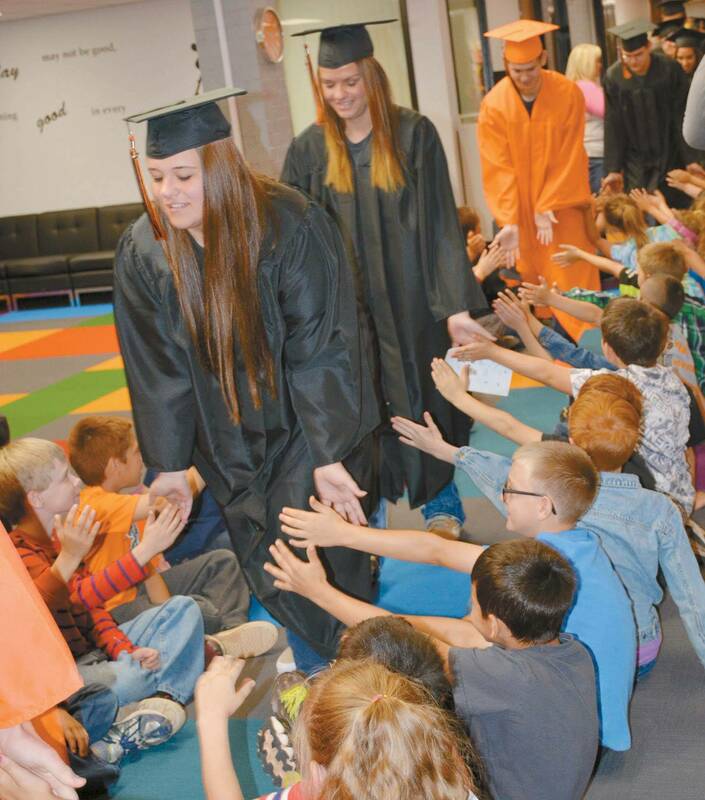 Cheyenne Seniors are congratulated by elementary students as they stroll through the halls on Monday prior to the Senior Assembly. Pictured are seniors Sara Campbell, Taylor Conn, Evan George and Kaylen Harmon. Cheyenne High School Baccalaureate will be held at 4:00 PM and Graduation at 6:00 PM on Sunday, May 22, 2016 in the school auditorium.